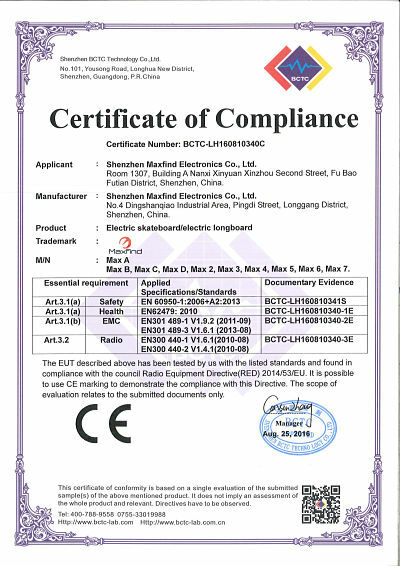 Company Overview - Shenzhen Maxfind Electronics Co., Ltd.
Maxfind is a high-tech company with combination of research and development, manufacture, domestic and international marketing. 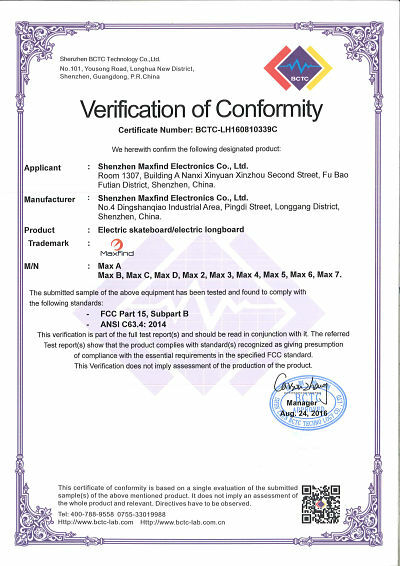 Maxfind, mainly focusing on Personal Transporter since 2015, has a wealth of experience and high level of technology in manufacturing electric scooters, electric skateboards, ebike and etc. Our mission is helping more people strive for cooler and more convenient life.Maxfind, located in Shenzhen China, with 5 dust-free production lines & 6000m^2 workshop area. Besides, we own 12 designers, 20 market researchers and 50 workers. 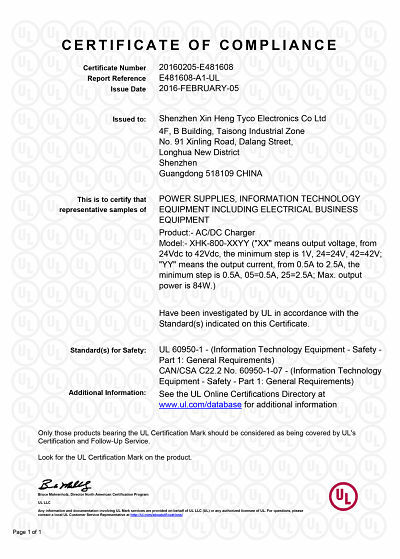 All of these will support a high capacity (4000-6000pcs/per week) and best warranty.And Maxfind factory has already passed the certifications of the ISO900-2008 and ISO-14001-2010. 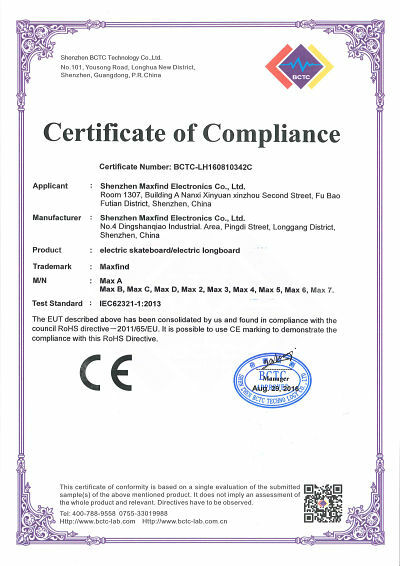 To ensure a high quality standard, Maxfind only cooperates with the top suppliers in their fields, including Samsung Battery, TI (IC chip supplier), ChiYuen International (Aluminum Alloy Material Supplier), ChiMEI(Plastic Material Supplier),HONYWELL(Hall Supplier) and etc, and some of them are golden suppliers of HuaWei.If you want to cooperate with one company which owns experienced factory and has a strong R&D competence, MAXFIND will be your best choice. Not only providing a professional technical support, Maxfind's R&D team, which is more than 20 engineers, has already worked on next generation personal transporter. We have passed lots of tests from the market and have been given good feedback from our customers and friends. 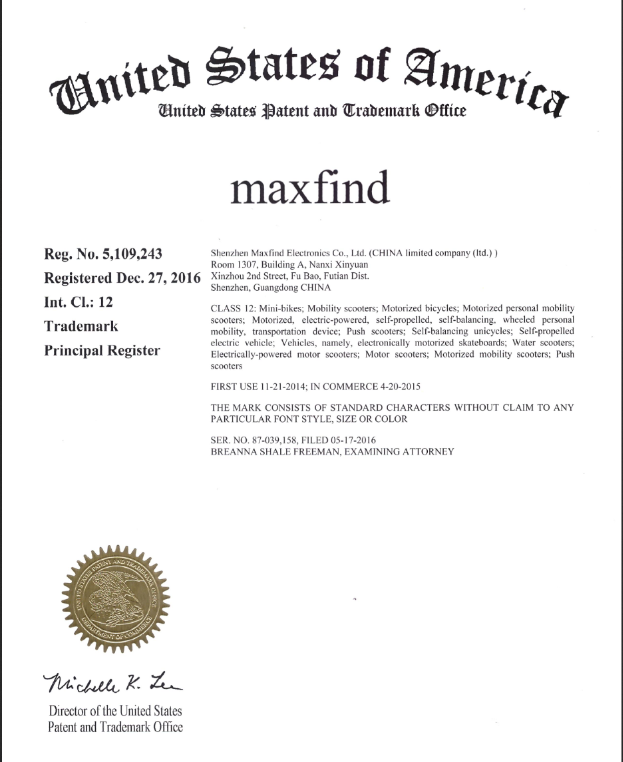 Since now, Maxfind owns 2 invention patents and 8 Utility Model Patents, and all the Maxfind products are CE, FCC, ROHS, SGS certified.What's more, we have warehouses and repair centers in US, DE, BE, UK and AU. So that we can provide you products in a very short period of time and do after-sales service.Maxfind touches the lives of people around the world. 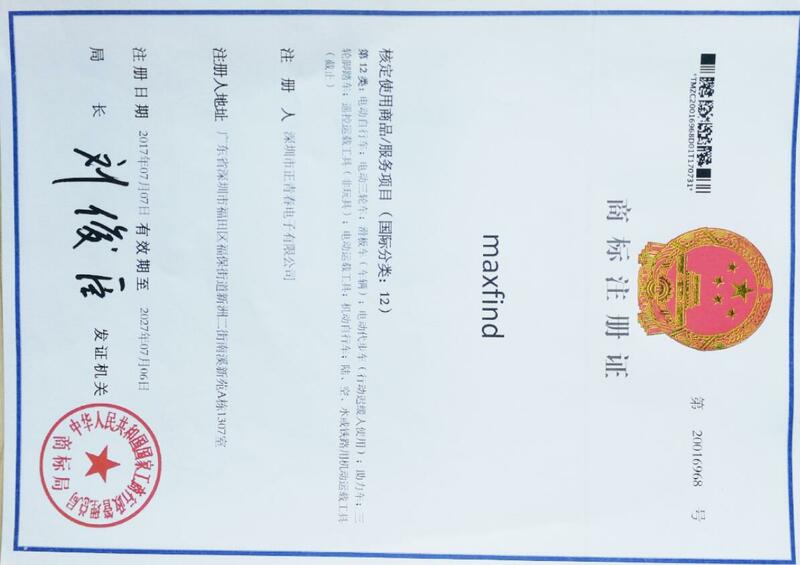 Maxfind has already sold our products in more than 60 countries, and do the OEM, ODM service for customers from 19 countries. We sincerely welcome friends from all over the world to visit our company and cooperate with us on the basis of long-term mutual benefits.We registered our Brand in the Europe and United States, promote it on social media like Facebook, YouTube and Instagram. Our products are selling on Amazon, Alibaba and AliExpress eBay. By now, MaxFind attended the Hong Kong Electronics Show twice, shared the latest products to the whole world. In 2017, the project for Max C electric penny board launched on Indiegogo and succeed.